Canam Realty Group’s property management services are second to none. We Service Phoenix Arizona Property Management in Phoenix, Ahwatukee, Maricopa, Scottsdale, Paradise Valley, Chandler, Tempe, Mesa, Gilbert. CANAM manages over 200 properties in the valley, and we have developed a systematic method of protecting our clients’ investments. Through excellent bookkeeping, ongoing communication with our clients, and proven marketing plans, Canam Realty Group is the choice for professional property management. We provide a full range of services including leasing, rent collection, maintenance supervision, and bookkeeping for our clients. Our investors range from mostly out of state and out of country investors. 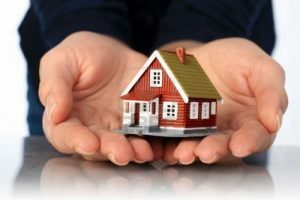 We are very experienced with local transactions and FIRPTA rules (Foreign Investment in Real Property Tax Act of 1980). Often times we are called upon by other outside Realtors to help them thru a problem with their foreign client as we deal with these issues on a daily basis. We advertize available properties on the MLS and 11 other websites, as well as our own website. We buy, sell or rent a property on average every 48 hours. Surprisingly we do not approve every home as a CANAM rental. We have higher standards then most management companies and because of this Realtors know if they are showing a CANAM property it will be superior to most. We believe that well qualified tenants appreciate a quality home and are more willing to pay a little more for a home they can be proud of and stay in for years to come. To ensure top-quality tenants, all applicants are thoroughly screened. Most companies only check tenant background information at a state level. We do a national background check that includes credit history, income verification, rental history, and criminal activity that covers all 50 states. Our Construction team, Foothills Renovations LLC, is a licensed and bonded contractor that is able to take care of all of your repair and renovation needs affordably and professionally. We are able to respond quickly to our tenants’ and owners’ needs. In the case of outside vendors, we have many local companies with whom we have worked with for years and because of this we are able to ask a favor of once in a while when an emergency situation crops up. We provide our clients with detailed understandable comprehensive monthly statements. We employ a competent and specialized team ready to assist you with this important transaction. Our team includes, Realtors, Accountants, Property Managers, Transaction Coordinators, Leasing Support Staff, a Professional Property Evaluation Specialist, and a Graphic Designer that produces professional advertising, photographs and print copy created specifically for the marketing plan designed for your property. Our office is open six days a week. In addition to weekdays, we are open on Saturdays when many potential tenants have the time to look for residential rentals. We offer around the clock Emergency Service. The property manager and assistant property manager are “on call” for addressing emergencies after hours. The 24 hour emergency number is on every rental contract signed by the tenant. Contact CANAM today to see if you are interested in having your rental property managed by CANAM. CANAM Realty Group Property Management Services handles long term rentals. Lease length for long term rentals is 12 months and longer. For more information about our Phoenix Arizona Property Management services and rates please contact our Property Management Division at 480-759-2242 or fill out the Contact Form .